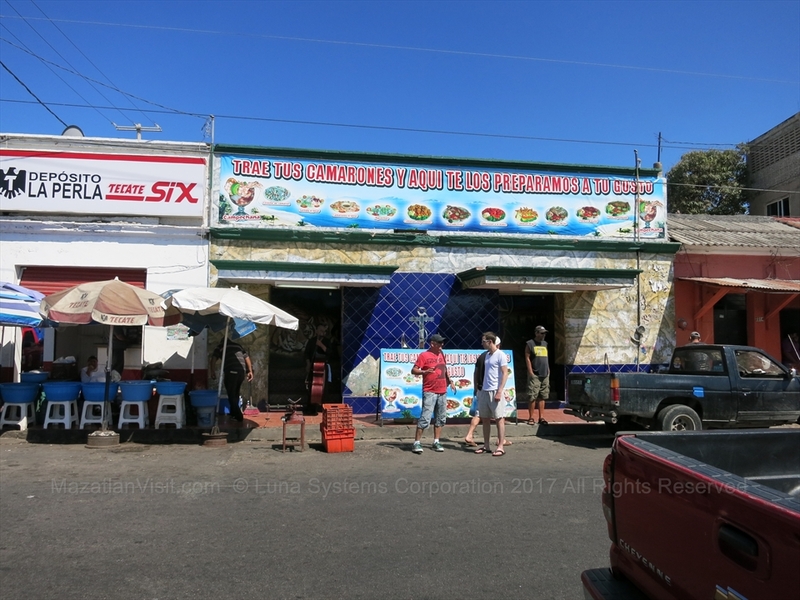 The Shrimp Ladies (Las Changueras) in Mazatlán are a bunch of (mainly) women who sell fresh shrimp on a street. 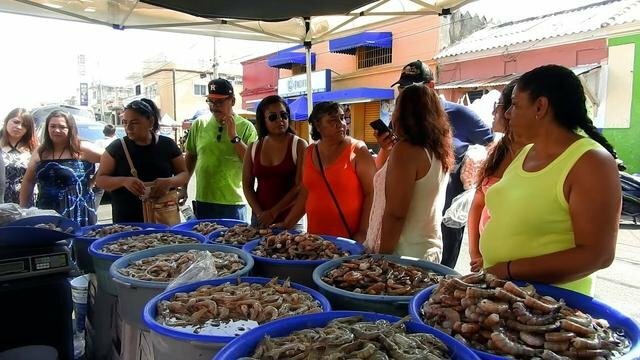 Everybody in Mazatlán knows that the place to buy your fresh shrimp is from the Shrimp ladies! Mazatlán is famous for it's shrimp because it has the largest shrimp fishing fleet on the west coast of Mexico. The shrimp ladies get their shrimp directly from the boats! They have a large selection of sizes of shrimp that they sell to the public by the kilogram for a reasonable price! We recommend that you check out different stands and pick out the shrimp you want, and negotiate the price with the woman. She will weigh your shrimp out and put it in a bag for you. Buying shrimp from the Shrimp Ladies of Mazatlán is definitely an experience you need to try! The shrimp is not cooked so you have to wash and cook it yourself at home or go to a restaurant to have it cooked for you. There are 2 restaurants nearby the Shrimp Ladies that will cook it up different ways (e.g. garlic, el diablo, breaded, natural) for you for a small fee. We recommend restaurant Mariscos Dunia which is around the corner to the left if you are heading downtown. There is also the Anchor restaurant on the same block as the Shrimp ladies. Where are the Shrimp Ladies in Mazatlán? The Shrimp Ladies are on one block on Aquiles Serdan at Avenida Zaragoza. This is 5 short blocks in from Paseo Clausen and the Malecon.